San Diego Pet Training and the Helen Woodward Animal Center are teaming up to offer you a quality Board & Train program that really works! Board & Train is ideal for pet parents who want a well-trained dog but have a schedule that is too busy to fit in training each and every day. Or, for pet parents away on vacation who want a well-mannered dog upon their return. Your Board & Train experience can vary from one day of learning agility to keep your dog stimulated and having fun to several weeks of an advanced obedience camp. San Diego Pet Training can also teach new “tricks” or tackle behavior modification issues such as aggression, anxiety and fear. With Board & Train at Helen Woodward’s Club Pet you’ll receive consistent training that keeps your dog focused and maximizes their learning. Let an expert do the work so you know your dog will return home with results you will be happy with! 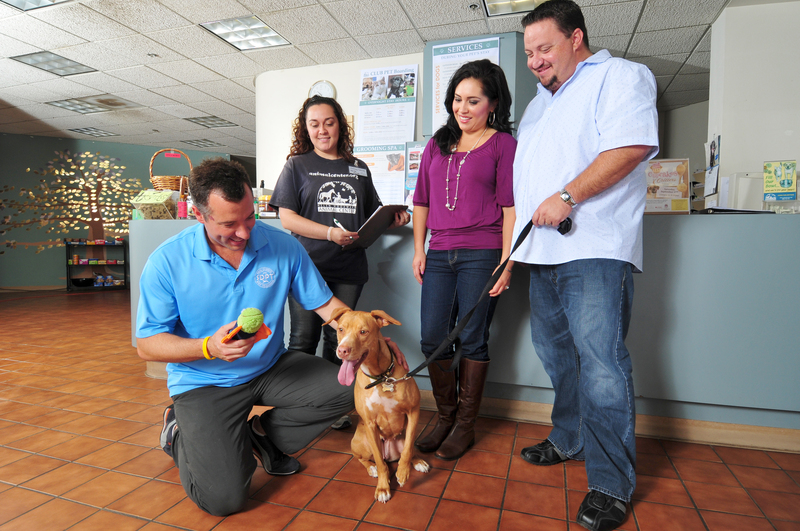 All basic Board & Train packages include a consultation with the owners and follow up session upon pick up of your pet. Advance packages include follow up session(s) in your home to ensure that all of the training gets transitioned over to you in your everyday environment. We’ll also text and email you photo and video updates so you can monitor your dog’s progress along the way! Availability for booking your Board & Train program at Club Pet is on a first come first served basis. Because every dog and family is unique we suggest you contact us today to discuss your Board & Train package and training goals.